Orlando, is a warm city with a lot to offer. From dining in themed restaurants to exploring nature in all its glory, the Orlando area has something for everyone, retirees included. Central Florida has numerous retirement communities, and of course, theme parks galore to keep the family begging for a visit. Walt started something magical with Disney, and Orlando became home to Disney World in 1971. As a senior with grandchildren, this is a mega-perk. Sure, your grandkids don’t need more reason to visit you, but a trip to Disney World would make you the coolest grandparent on the planet. Bonus points if you retire in Orlando or elsewhere in the state: Disney World offers discounts for Florida residents. Hang up your shovel for good if you choose Orlando as your retirement destination. The chances of seeing snow here are minimal. In fact, the average temperature in Orlando is a balmy 73.35 degrees Fahrenheit. You’ll rarely see winter lows below 50 degrees. Do you favor sandals over boots? 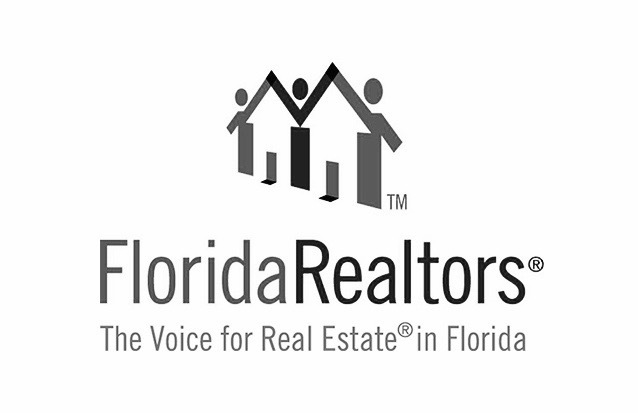 If so, retiring in Orlando may be the right choice for you. Orlando isn’t just about Mickey Mouse and his crew. It is home to many natural attractions fit for a person who loves the outdoors. For hiking folk, there is a plethora of lakes and rivers to explore. Take an urban stroll around Lake Eola Park or hike the trails at Tibet-Butler Preserve. More into golf? The Orlando metro area has more than 170 golf courses. Since the cost of living is reasonable, and great attractions abound, Orlando has become a popular retirement location. Not surprisingly then, there are numerous senior housing communities in Orlando and the surrounding cities. The full range of senior living options exists here: apartments, houses, independent living, assisted living, continuing care and memory care. 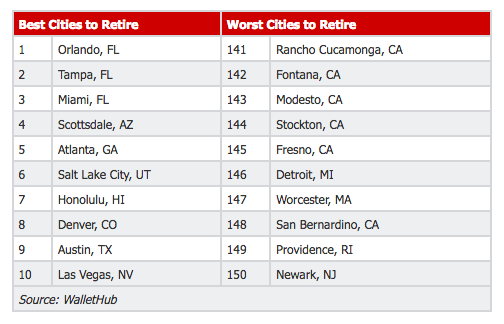 To help Americans find the best cities to spend their golden years, WalletHub’s analysts compared the retirement-friendliness of the 150 most populated U.S. cities across four key dimensions: 1) Affordability, 2) Activities, 3) Quality of Life and 4) Health Care.